One of our core objectives is to contribute positively to our local community. Here at Actons, we aim to fulfill our Corporate Social Responsibility (CSR) programme by creating and developing a good working environment for the personal growth of staff, minimising the impact our business has on the environment and supporting initiatives in Nottingham, the wider East Midlands and nationwide. Our involvement covers a wide range of sponsorship support and fund raising. We have worked with and supported Framework for many years. In the past events have included enabling service users to hold a week long art exhibition of their work at the View From The Top Gallery, sponsorship of the Framework AGM, sponsorship of the very popular Human Table Football Fundraising event, supporting and participating in day long Golf events, holding raffles and participating in the Big Sleep Out. For the last couple of years we have sponsored the Christmas Challenge. We are a long term supporter of Macmillan and carries out a number of fundraising initiatives for the charity, including taking part in the annual nationwide Macmillan Coffee Morning. Over the many years we have supported Macmillan, we have raised in excess of £20,000 for the charity and continue to support its excellent work. We work closely with Age UK Nottingham & Nottinghamshire and support their brilliant efforts with service users across the county. Fundraising events for the charity include making festive food hampers for the elderly to receive during the Christmas period. We also run weekly free legal advice clinics for service users. We started to get to know Reach Learning Disability in early 2018. Reach is a charity that supports over 200 people with learning disabilities in Nottinghamshire. We especially got to know the team at their horticultural base in Southwell, Flower Pod. To help support the Flower Pod team, a group of 11 members of our staff spent a day helping out with a variety of tasks. We are looking forward to building a long-term partnership with Reach moving forward. 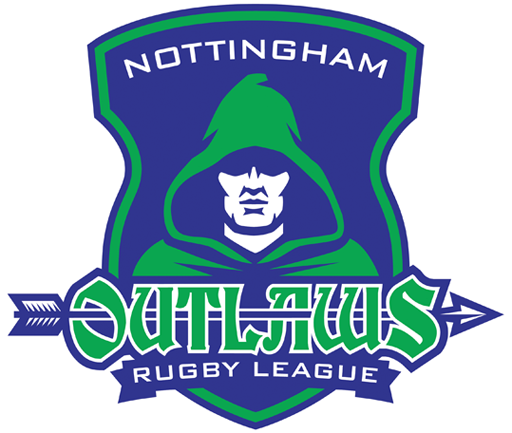 We are delighted to be supporting Nottingham Outlaws, one of the leading Rugby League clubs in the Midlands. During 2018, we helped the club acquire their new ground at the former Greenwood Meadows football ground on Lenton Lane. The Chairman Richard Johnson said “I would like to say a big thank you to our sponsors and local legal experts Actons Solicitors. Chris Murratt, Zoe Romain and the rest of the team really helped us pull off this deal and guide us through what were at times, tortuous negotiations!”. We work hard to ensure that our business has minimal impact on the environment. We recycle our waste including paper, cardboard, glass, plastic, cans, toner and printer cartridges and use recycled products where we can. Our Corporate Social Responsibility committee meet regularly to monitor performance and each team has a ‘Recycling Champion’ to aid in implementing our recycling policy. Our confidential waste shredding company recycles all of the paper it collects. The taxi company we use, Cloud Cars Ltd (www.cloudcarsltd.com) is an environmentally friendly taxi company using only electric cars which minimises our carbon footprint.